Women’s Philanthropy of United Jewish Appeal of MetroWest NJ celebrated its 75th anniversary with a performance by one of the most popular Jewish music groups on the scene. 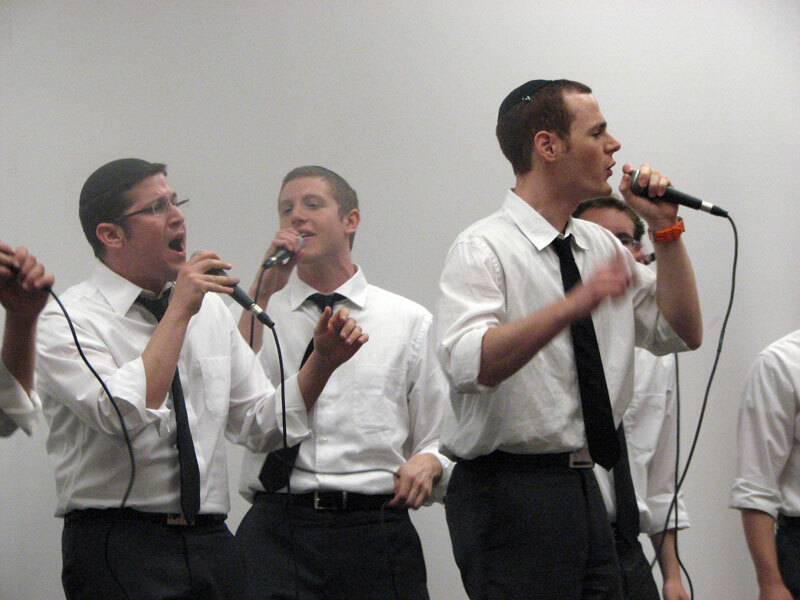 The Maccabeats — whose Hanukka video, “Candlelight,” was launched on YouTube last year and went viral with over five million hits — performed at Women’s Philanthropy’s annual meeting on June 15 at the Aidekman campus in Whippany. 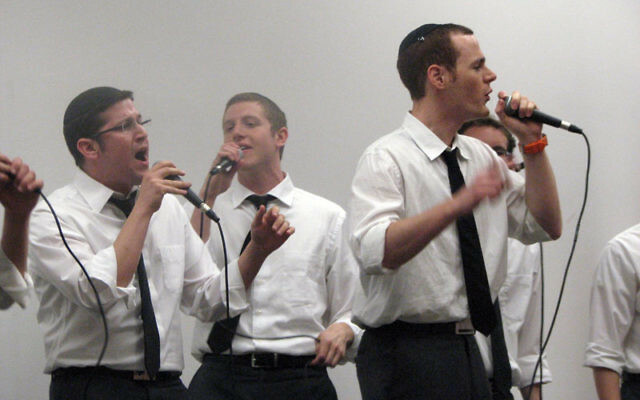 Over 100 women — and a few men — attended the breakfast and concert featuring several numbers by the Yeshiva University student a cappella group. A video montage and photographic display of Women’s Philanthropy’s history was also shown. In previous incarnations, it was known as Women’s Division and later Women’s Department. To mark its diamond anniversary, WP launched the “$75 for our 75th” campaign at the meeting to support the PJ Library, a program that provides free Jewish books to families with preschoolers. The national outreach program, coordinated locally by The Partnership for Jewish Learning and Life, reaches some 2,300 children in MetroWest. To date, the initiative has raised $10,957 from close to 130 donors (one-time designated gifts are still being accepted; contact Elaine De Young at 973-929-3104 or edeyoung@ujcnj.org).